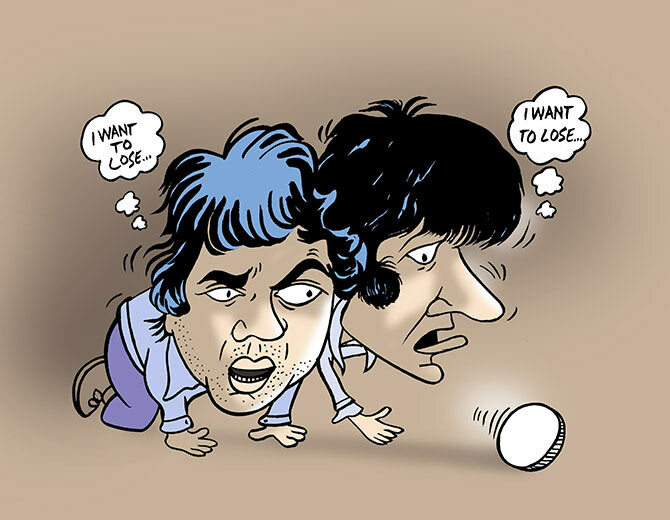 Rediff.com » Movies » What if Sajid Khan directed Mr India, Sholay? 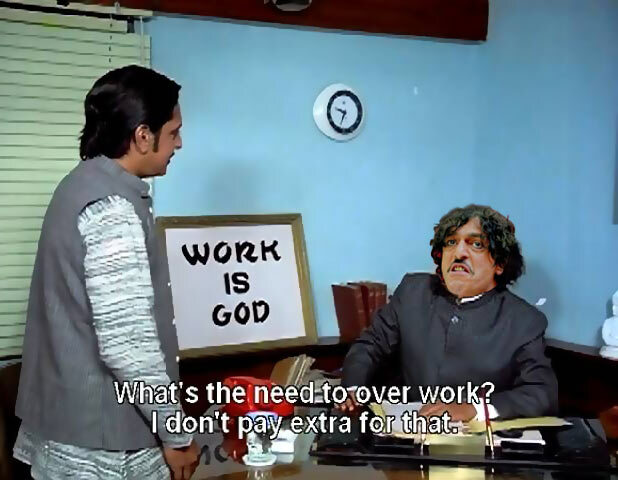 What if Sajid Khan directed Mr India, Sholay? What if Sajid Khan, who recently gave us Humshakals, touched our classics? Would cinema be as good? We take a look. Just how bad is Sajid Khan as a filmmaker? Awful enough to make the new age Ram Gopal Varma look as good as, well, the vintage Ram Gopal Varma... that’s how bad. Is Sajid Khan the worst director in Hindi cinema today? Based on his monumentally bad efforts so far, he may well be, but -- in a shattering blow to the very idea of democracy -- his films make money and find producers. He’s only remade one trashy film so far, Himmatwala, and while that mercifully flopped, who’s to say that desecrator of taste won’t try his hand again at cinematic vandalism? Best stay prepared, I say. Buckle up. Here’s what I think will happen if the hammiest, cheesiest director of them all tried his hand at a few of our most memorable films, with some help from designers Uday Kuckian, Reuben NV and illustrator Uttam Ghosh. 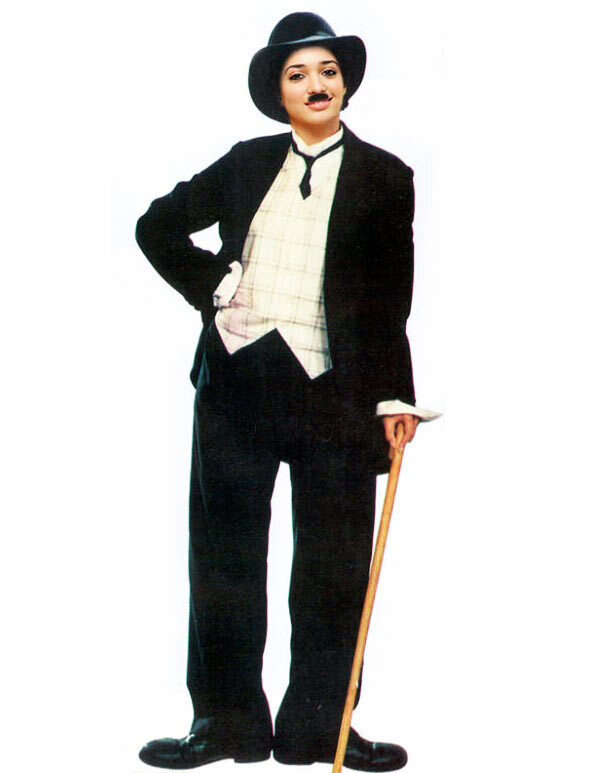 Remember that one scene in Mr India where Sridevi dresses up as Charlie Chaplin and fools around in a casino, with the help of Mr India? In Sajid’s world, that would be the whole damned movie, three hours of rolled-eyes and silly accents. With Tamannah Bhatia in the Sridevi part. Please click on Next to see more. If you thought Ram Gopal Varma’s hatchet job on our most adored actioner was ghastly, a Sajid version would certainly be worse, a Soorma Bhopali-worshipping film that would make both Jai and Veeru want to lose the fatal toss just so they could opt out of the climax. 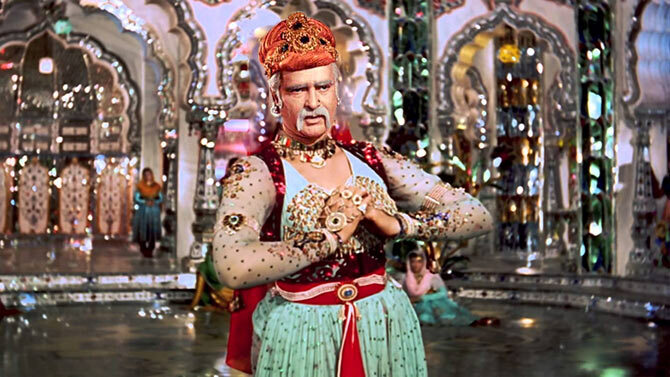 In Sajid’s version of the immortal Pyaar Kiya Toh Darna Kya song sequence, wily Shahenshah Akbar would pull the ol’ switcheroo and dress in drag to dance as Anarkali in an all-colour attempt to repel his son Shehzaada Salim. The ‘joke’ here would naturally be Salim getting randier than ever on seeing his dad in a dress. 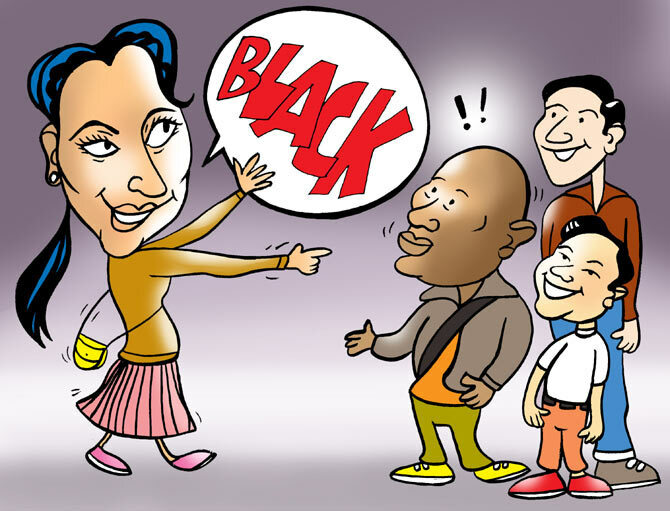 In Sajid Khan’s version of Queen, the hostel in Amsterdam would be 20 times its size, and all the friends -- Kangna Ranaut , the white guy and the Asian guy -- would constantly make fun of friend 4, the black guy, for being black. sajid’s take on this long, long film would mean Bollywood brute Ranjeet taking on Alok Nath’s role and lasciviously checking out Reema Lagoo while singing to her. Plus, Tuffy The Dog would now be played by a dwarf. 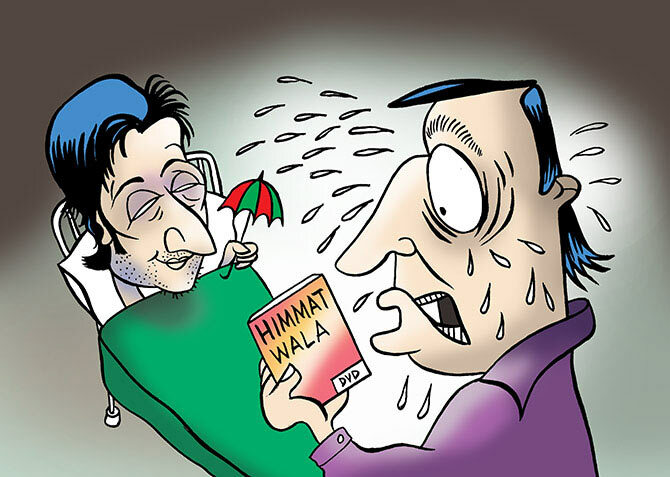 In Sajid Khan’s Anand, the patient -- played naturally by Riteish Deshmukh -- wouldn’t leave an audio message behind for Babumoshai, but instead a Himmatwala DVD. Anything to make the man cry buckets. Then it would show us the whole damn thing again. Every time Akshay Kumar’s Raju Guide would turn introspective or show any sign of a change of heart, the background score would inform us, with a loud “Confusion shuru ho gayi,” and so forth. 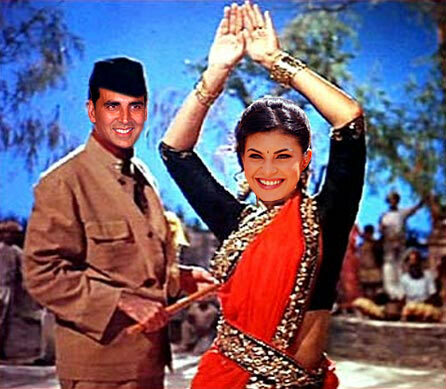 It’d almost be too much for Jacqueline Fernandes’ Rosie to bear. Chunky Pandey as Utpal Dutt.